This one-day symposium brings together six leading artists in conversation about the role of collaboration in their practice. What happens when artists collaborate? What are the challenges and potentials of working together? 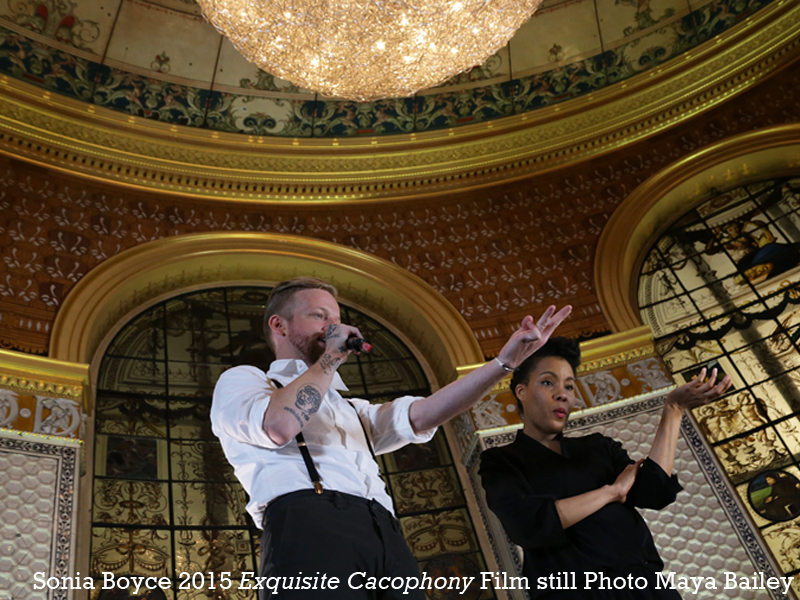 How can collective action help us rethink notions of learning, identity, art and politics? 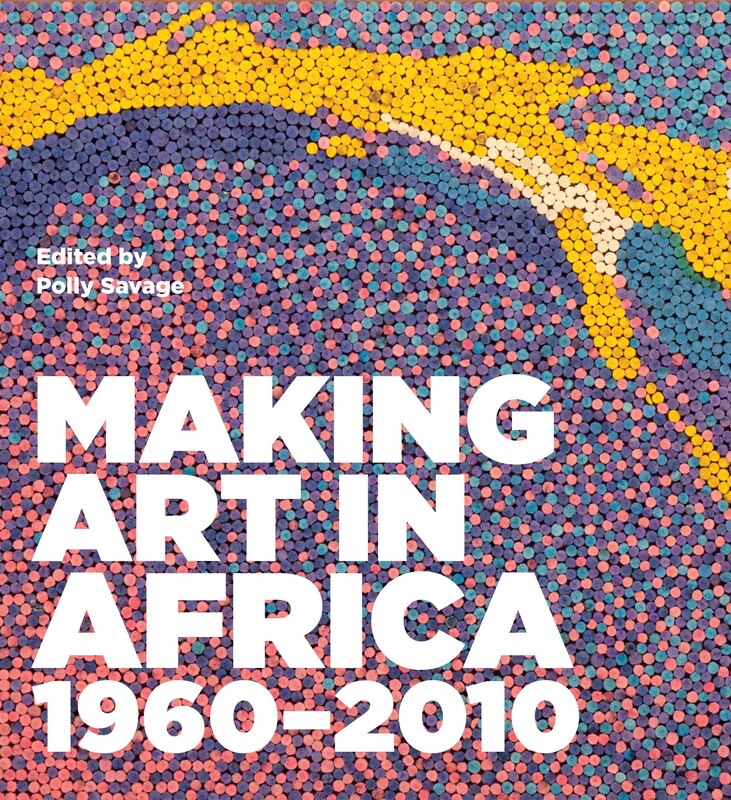 Followed by the book launch for Making Art in Africa 1960-2010 (Polly Savage ed. Lund Humphries, 2014). Free entry. Email info@lundhumphries.com to reserve a place. 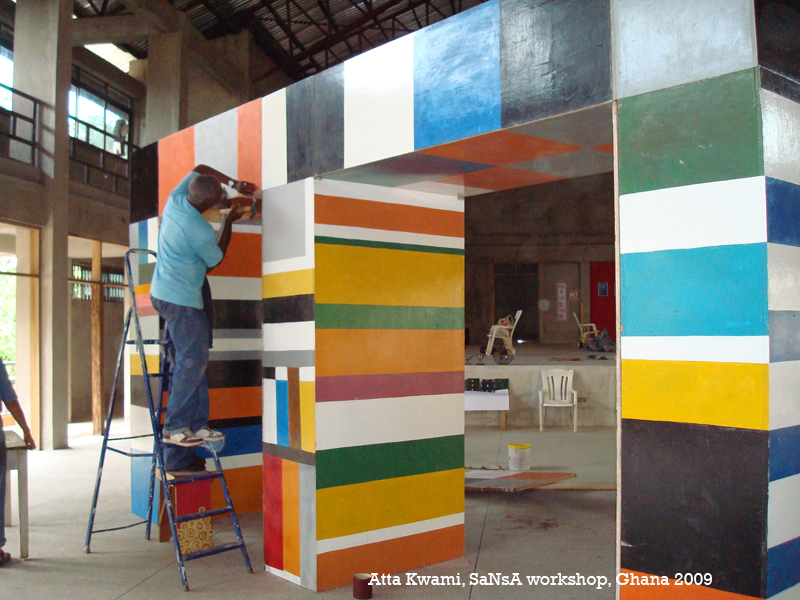 As both artists and educators, Atta Kwami and Jacob Jari discuss collaboration in the context of their own work, but also as a mode of learning in the artists’ workshops they established in Ghana and Nigeria. Based on the Triangle model, these workshops brought together a broad community of artists, enlivening practice by sparking a series of creative networks. Joy Gregory’s practice explores a long-running concern with politics, history and social difference, most recently in a body of research about language endangerment. Peterson Kamwathi’s recent work explores the formation of alternative communities in the face of political power, and through his 2009 series ‘Sitting Allowance’, indicts the role of institutions in the 2007-8 post-election violence in Kenya. Together they discuss the potential of creativity and collaboration as modes of resistance to power. 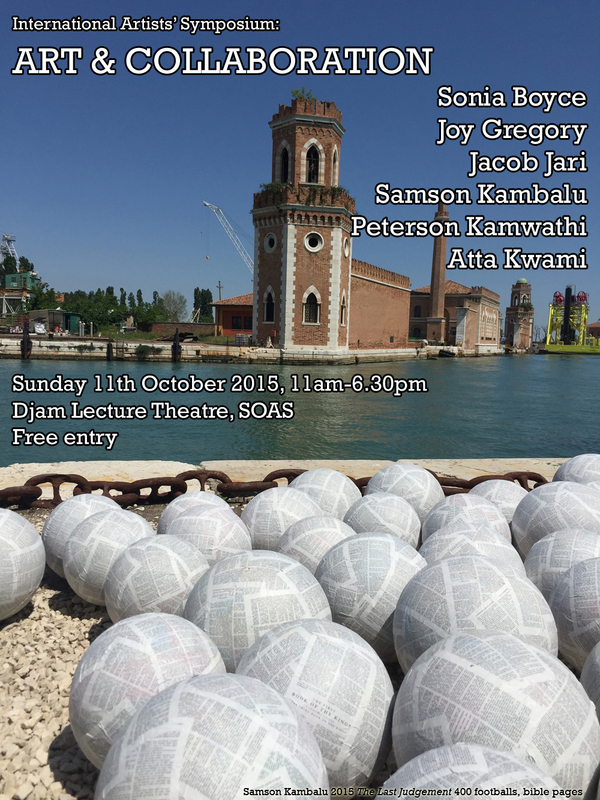 Sonia Boyce MBE and Samson Kambalu both use collaboration as a method in their visual practice. Boyce has worked with a series of performers since the turn of the millennium and Kambalu’s short films, collectively titled ‘Nyau cinema’, are often produced in acts of spontaneous collaboration on city streets. Together, they discuss the creative potential of ‘play’ in these largely improvised encounters. A reception to mark the publication of Making Art in Africa 1960-2010 (Polly Savage ed. Lund Humphries, 2014) a major new book which brings together the voices of 69 artists and curators to narrate key moments of art making across Anglophone and Lusophone Africa since independence. Hosted by the Contemporary Arts Research Seminar series, School of Arts, SOAS with the generous support of Lund Humphries, ASAUK and the Royal African Society.